Did you know locks have a limited lifetime? Yes, they wear out. So it is not unusual that you will encounter many locks that require repair. Some locks, like those on public building entrances that are used extensively will break even quicker. The majority of locks have small and sensitive parts like tumblers which will degrade over time. The lock cylinder is also susceptible to this type of risk. Have a problem with your lock. Your lock is not working as it should, no problem! We can have your lock repaired in just a matter of minutes after you call. Our trained local locksmith will come to your location day or night with all the tools necessary to get your locks functioning properly. If for some reason your locks are damaged beyond repair our technicians will be on-site with a variety of locks to find the best new one that suits your needs. 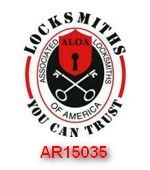 Just call us and we will be happy to assist you with your lock repair.